WGS – The Wideband Global Satcom System is a U.S. satellite constellation providing communications for military operations around the globe, supporting soldiers, ships, and aircraft including unmanned drones used for surveillance and intelligence gathering operations around the globe. The U.S. Department of Defence selected Boeing Space Systems in 2001 for the WGS satellites as a replacement for the Defense Satellite Communications System 3 in operation from the 1980s into the 2000s. WGS was initiated to deliver newer and greater capabilities to the warfighter by deploying a constellation of high-throughput satellites to Geostationary Orbit. The WGS constellation represents the primary communications system for the Department of Defence operated alongside the specialized AEHF operated by the Air Force and the Navy’s MUOS mobile communications system. 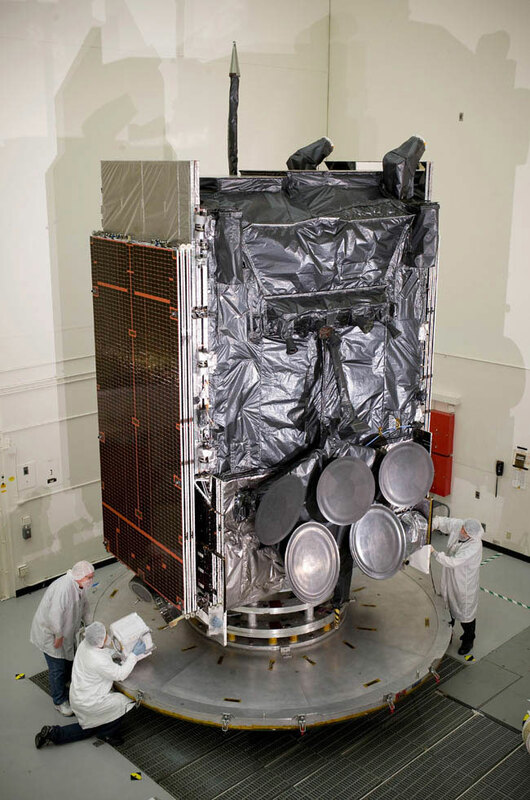 WGS is designed to enhance and augment heritage communications from the DSCS-3 satellites, delivering Super High Frequency (SHF) wideband communications, and Ka-band Global Broadcast Service (GBS). The WGS satellites make use of modern satellite communications systems such as phased array antennas and digital signal processing technology to create a powerful architecture with a high degree of flexibility. Each standard WGS satellite offers 4.875 GHz of instantaneous switchable bandwidth corresponding to a capacity of 2.1 to 3.6 Gbps depending on the ground terminals, data rates and modulation profiles that are employed. Effectively, each WGS satellite can supply more than ten times the capacity of a DSCS- 3 satellite. 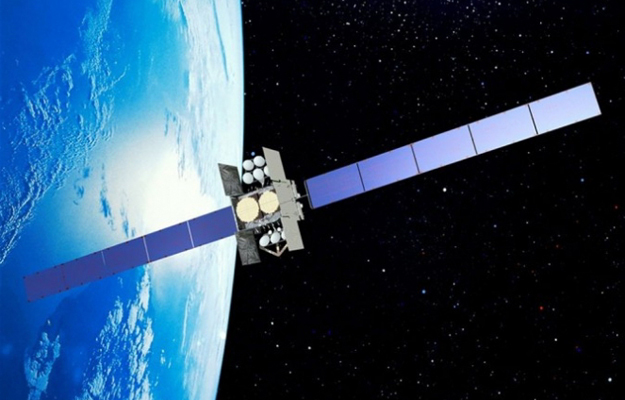 The Block-2 WGS satellites can deliver a data throughput of 6Gbps and the modified Block II satellites achieve 11 Gbps. The WGS satellite delivers 19 independent coverage areas divided in eight steerable/shapeable X-Band beams delivered by separate transmit and receive arrays, ten steerable Ka-Band beams provided by ten independently steerable dish antennas and one X-Band Earth Coverage beam. Data can be delivered in the form of unclassified, in-the-clear broadcast signals and fully encrypted signals received by large platforms on ships and aircraft down to communications packages carried by individual soldiers. One major upgrade provided by WGS is X-Ka-Band inter-connectivity delivered by a digital channelizer which divides the uplink bandwidth into independently routable 2.6MHz subchannels which can be converted from Ka-to-X-Band and vice versa. The channelizer also supports multicast and broadcast services and provides flexible uplink monitoring for network control. Operation and usage of the WGS System is divided into three segments – the Space Segment with the Satellites, the Control Segment which operates the satellites, and the Terminal Segment which corresponds to user terminals on the ground. Users of WGS include the U.S., Canada and Australia. 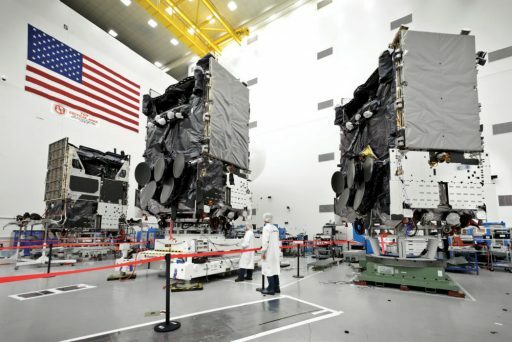 The first three WGS satellites are known as the Block I Group of Satellites that were part of the initial deal with Boeing signed in January 2002. WGS-1 lifted off on an Atlas V rocket in October 2007 followed by the other two in 2009, lifted by Atlas V and Delta IV rockets. Block II was inaugurated in 2012 with the launch of WGS-4 and features a number of upgrades including a radio frequency bypass capability for optimized services to airborne intelligence, surveillance and reconnaissance platforms (Unmanned Aerial Vehicles) requiring ultra-high bandwidth and data rates. 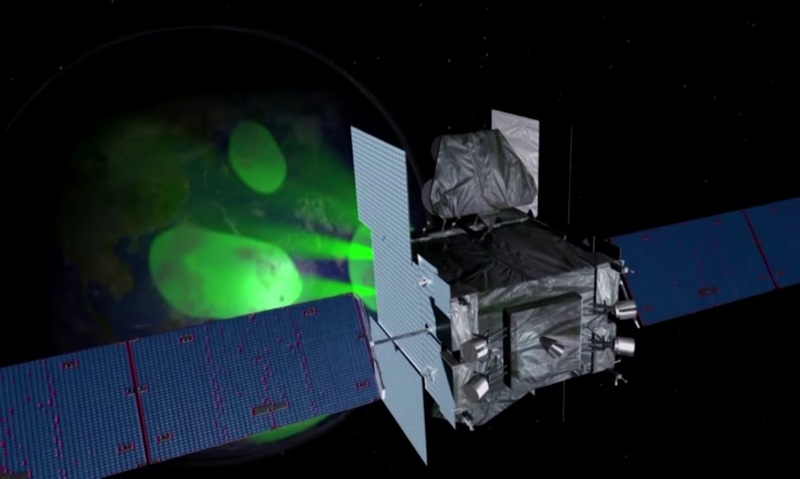 WGS-5 and 6 were launched in 2013 followed by WGS 7 in 2015. 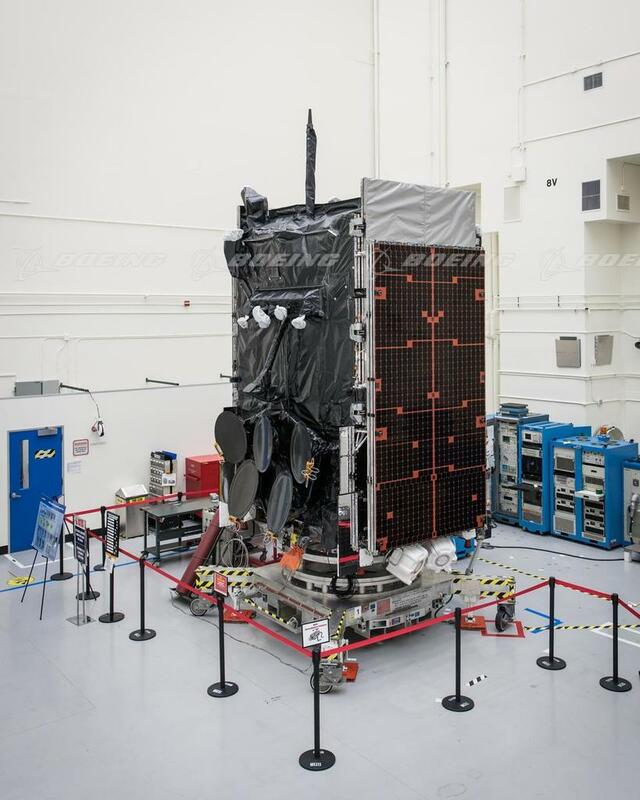 WGS 8, launched in 2016, marks the first in the Modified Block II satellites, hosting an upgraded digital channelizer which enables a 90% improvement in available bandwidth compared to previous WGS spacecraft. The new channelizer makes use of the latest Application Specific Integrated Circuit technology to be more efficient in converting uplinked data to digital signals which can then be moved internal to the satellites ahead of reconversion and downlink. WGS-9, set for liftoff in March 2017, represents the international contribution to the program with funding for the satellite provided by Canada, Denmark, the Netherlands, Luxembourg and New Zealand in exchange for access to bandwidth from the entire global constellation. 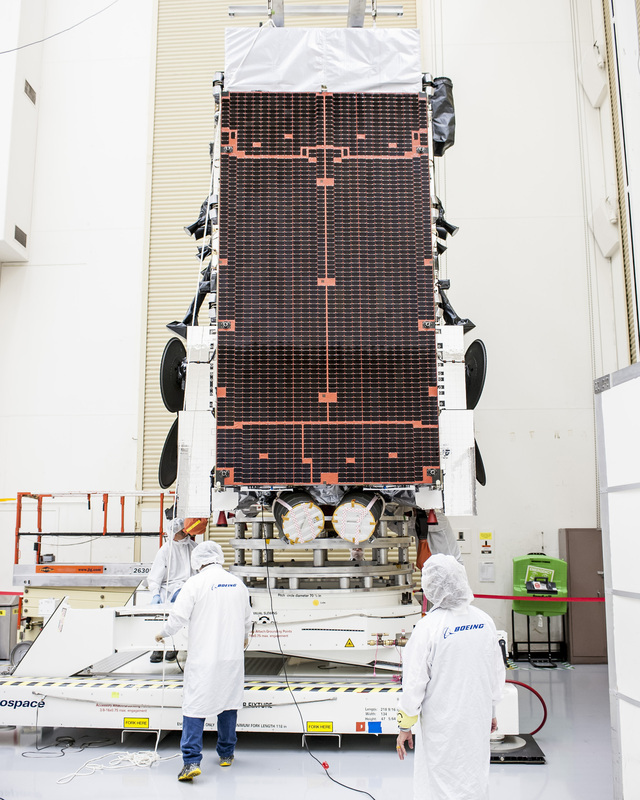 Each WGS satellite has a launch mass of around 5,987 Kilograms and is based on Boeing’s BSS-702HP satellite platform. WGS is based on Boeing’s BSS-702HP satellite platform, the high-power configuration of the 702 bus that can support the most powerful communications payloads with state of the art onboard systems including precise pointing capability and the use of flight-proven components and built-in redundancy to ensure the satellite meets its in-orbit lifetime of 15 years. The two deployable solar arrays each have five wings that are covered with ultra triple-junction gallium-arsenide solar cells which deliver an end-of-life power of at least 11 Kilowatts. Power is stored in dual Lithium-Ion batteries and dedicated avionics regulate the main power bus of the spacecraft to provide power to all subsystems of the satellite bus and the communications payload. When deployed, the satellite’s solar arrays give the spacecraft a span of 41 meters. WGS combines a chemical propulsion system in use for the initial climb to Geostationary Orbit with an electrical propulsion system to fulfill stationkeeping tasks and extend the satellite’s lifetime beyond that of pure liquid-fueled spacecraft. The R-4D main engine employed by WGS is Monomethylhydrazine/Nitrogen Tetroxide Engine that provides 490 Newtons of thrust. The engine is 0.55 meters long and 0.28 meters in diameter with an unfueled mass of 3.63 kilograms. The engine provides a specific impulse of 312s, has a thrust to weight ratio of 13.7 and operates at a chamber pressure of 6.9 bar. The original RD-4 was developed as an attitude control thruster for the Apollo Service and Lunar Lander modules. RD-4 engines were built by Kasier Marquardt. 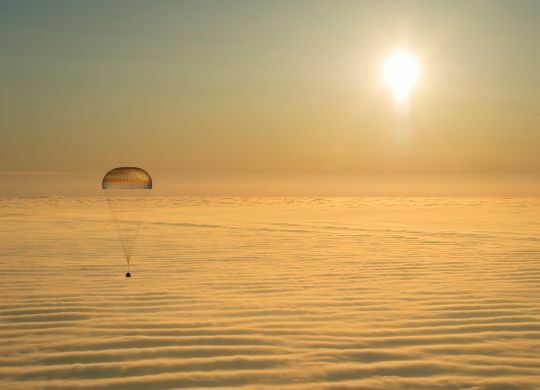 WGS hosts a powerful communications payload for secure and fault-proof communications. It provides steerable spotbeams that can reach any position within the satellite’s field of view between 65 degrees north and south latitude. 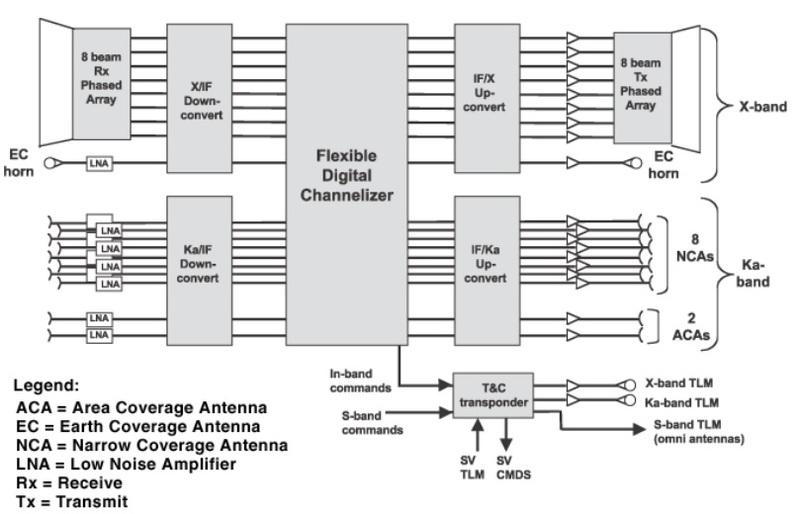 Two-way Ka- (1GHz) and X-Band (500MHz) communications are supported by the Spacecraft which also provides a capability to convert signals from one to the other with its onboard systems.